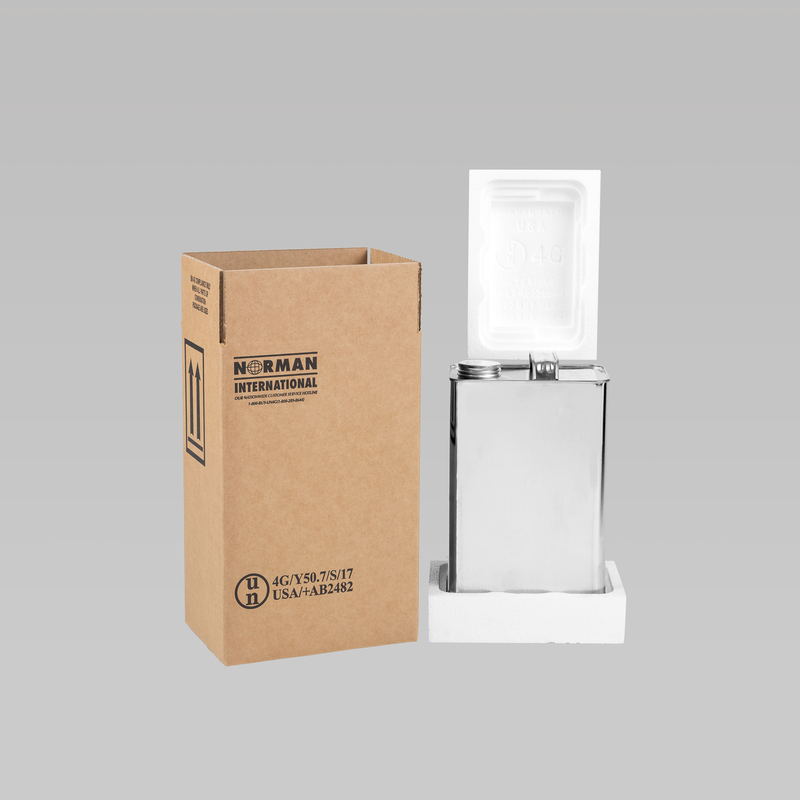 UN 4G boxes are a specialized form of packaging that conform to the requirements specified by the United Nations Recommendations on the Transport of Dangerous Goods. 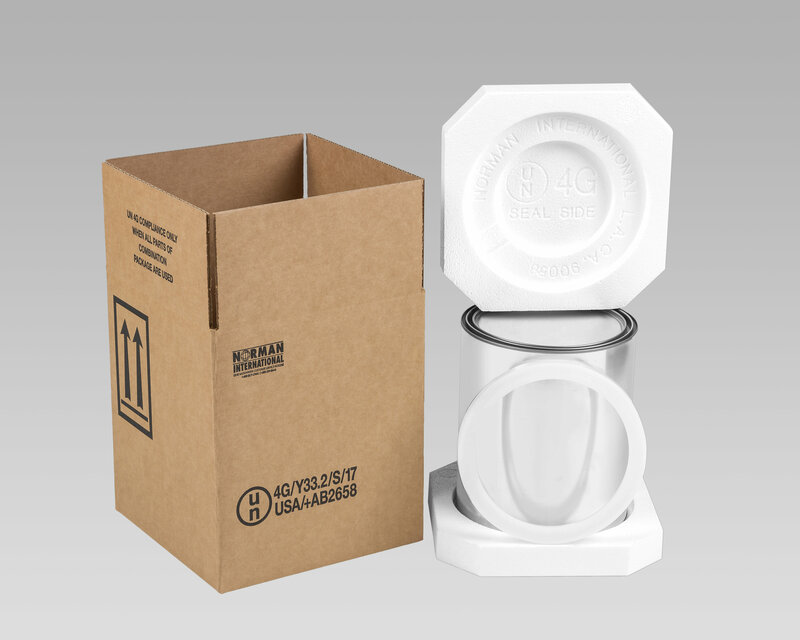 While the boxes by themselves do not provide protection both to contents and handlers, they are considered an integral part of combined UN 4G packaging, as they provide protection to UN 4G packaging devices stored within. 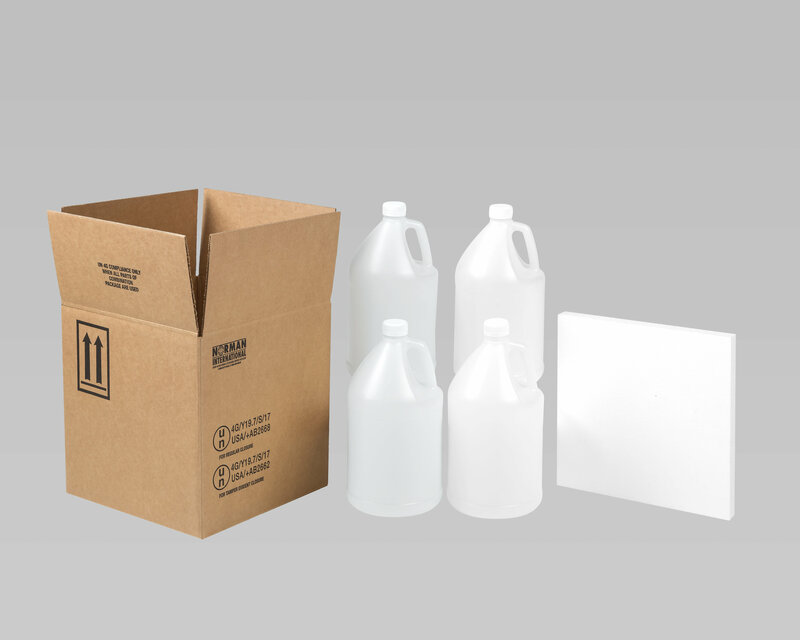 These may include items such as plastic bottles or jugs, metal canisters, or foam-lined packs. UN 4G boxes carry special markings that certify that the combination of boxes and packaging used have been tested and prepared for transport. Failure to apply the said markings prior to transport constitutes a violation of International Code for Air Transport (ICAO) Technical Instructions. 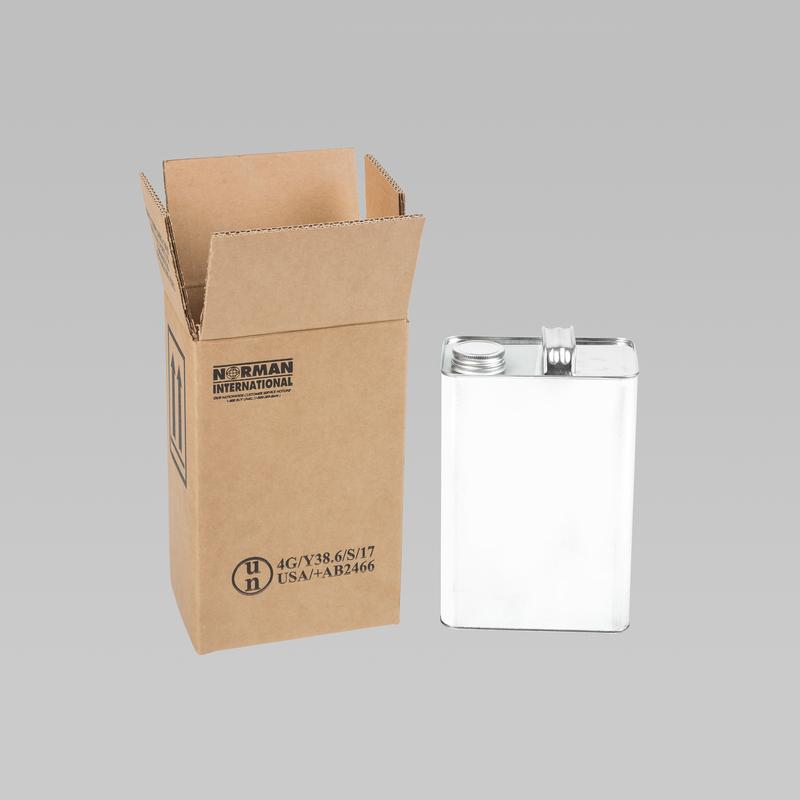 Norman International manufactures a variety of UN 4G packaging products for different kinds of dangerous and hazardous materials. 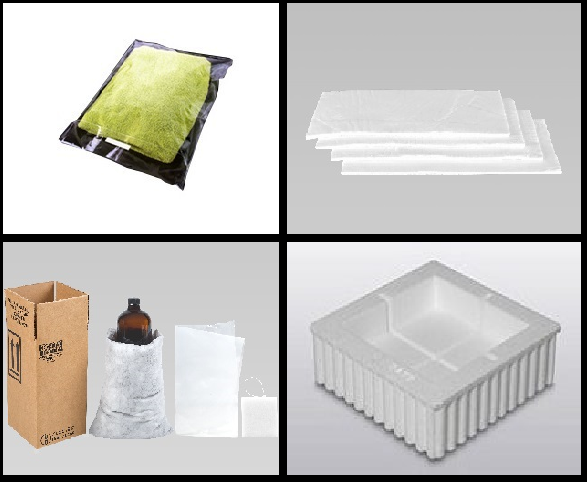 These packaging products are available in different configurations, sizes, and materials, including plastic and metal. 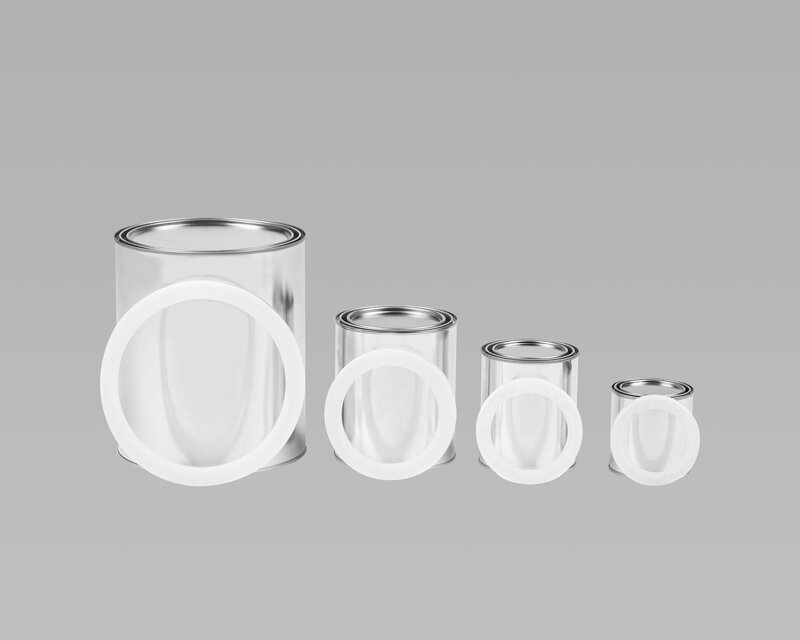 In order to secure the materials stored within, Norman International also manufactures foam packs to absorb physical shock and our patented Normlock® rings for paint cans. Norman International offers custom design, testing, and certification services for (UN) packing groups (I, II, III) in accordance to US CFR 49 178.601B. The shipper is responsible for the final closure of boxes prior to transit. 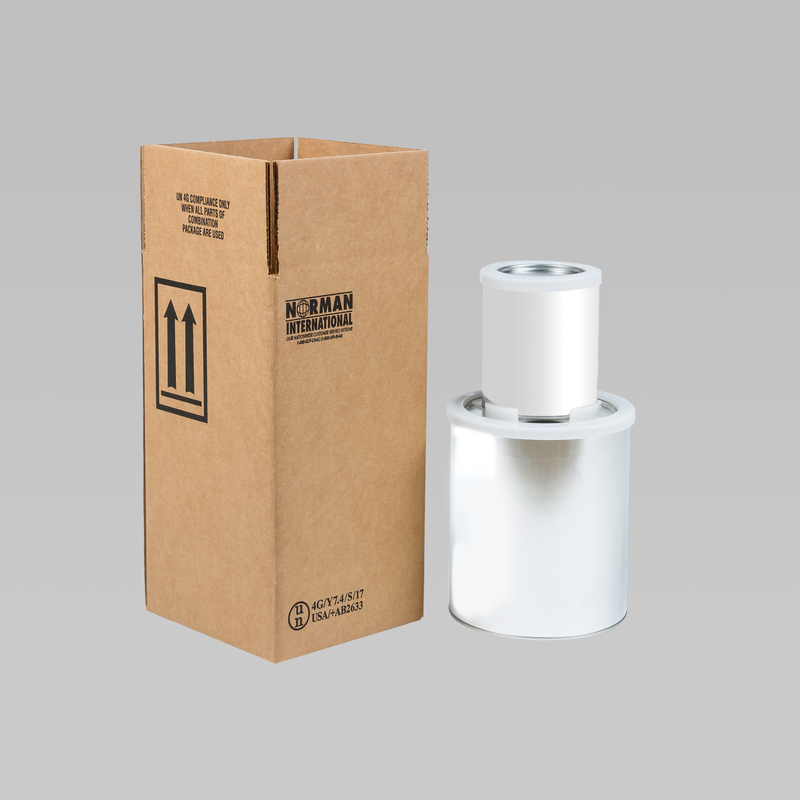 We deliver only complete UN 4G packaging systems (external boxes, cans, bottles, and cushioning material) and do not deliver boxes either in bulk or per piece to comply with UN and ICAO regulations. We also apply certification markings only upon successful testing of complete packages. 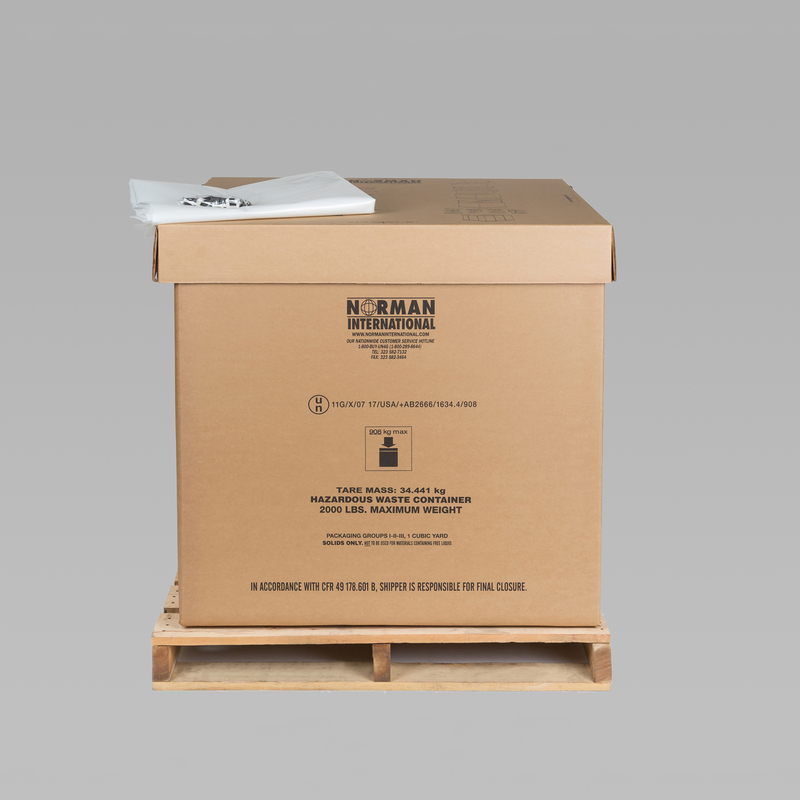 With warehouses in Los Angeles, Chicago, and Richmond VA, Norman International has been in operation since 1965. We draw upon more than 50 years of excellence in the manufacture of hazardous materials packaging. 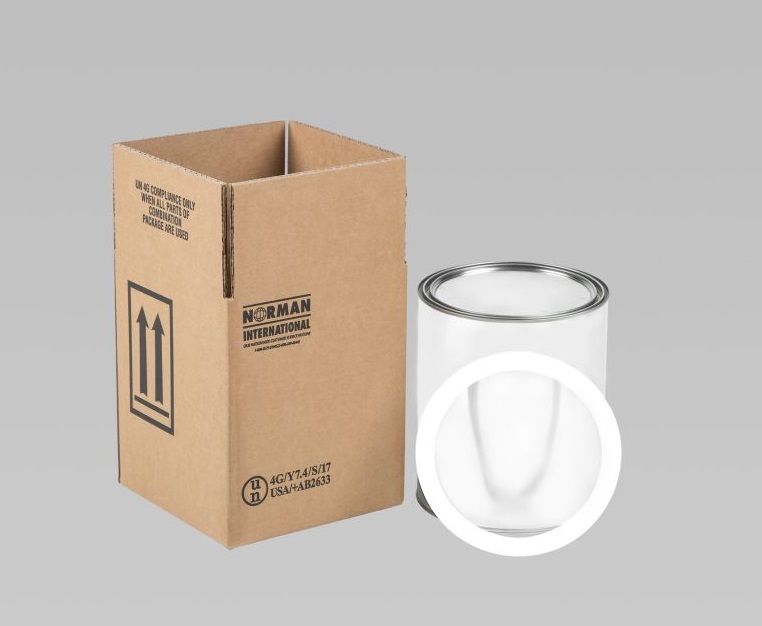 All of our products are designed in accordance to all relevant recommendations and instructions, ensuring that hazardous and dangerous material arrive at their destination safely, provided that they are packed correctly. 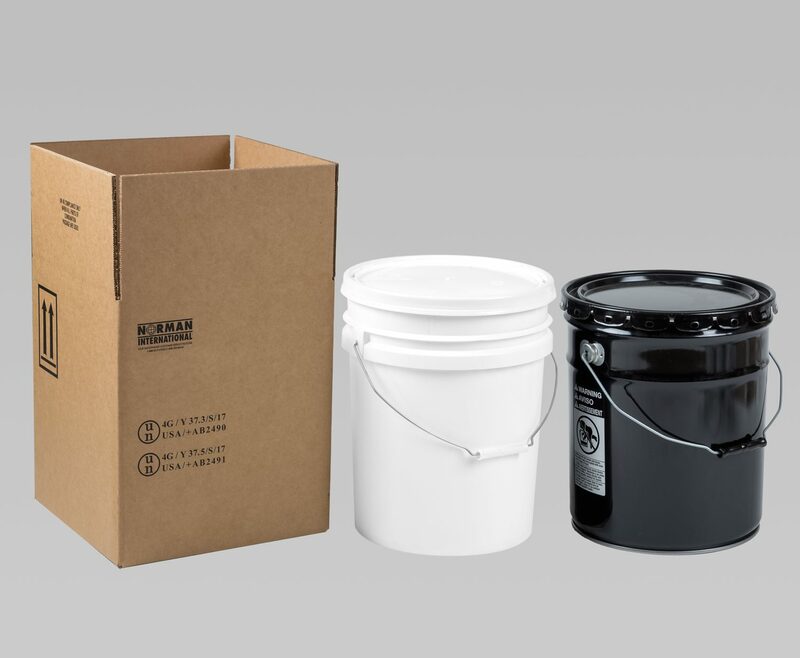 We are one of the largest manufacturers of hazardous materials packaging products in the United States. To contact us for a quote or other general inquiries, you may call us at 800.289.8644. Accepted and recommended by all major freight carriers, national & international, by land, sea or air.